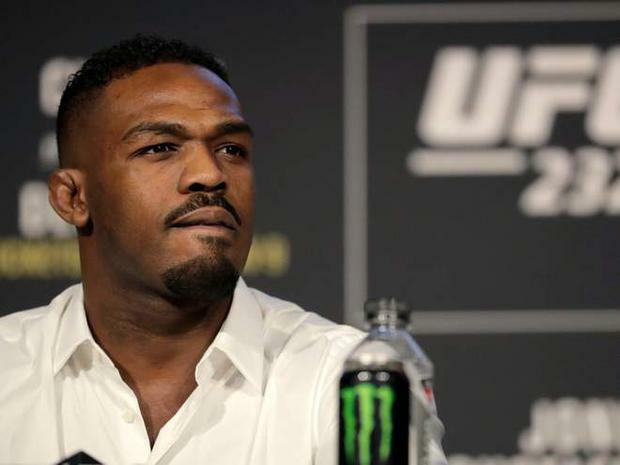 Jon Jones has been heavily criticised for his behaviour at the UFC 232 pre-fight press conference after berating a female journalist for questioning his latest positive drugs test, with the American mixed martial artist telling her to do “better journalism”. The 31-year-old has caused huge controversy in the UFC this week after a drugs test on 9 December tested positive for a “very, very small amount” of a prohibited chlorine-substituted anabolic steroid. The test led to the Nevada State Athletic Commission (NSAC) refusing to grant the former light heavyweight champion a licence to fight, but because the California State Athletic Commission (CSAC) were satisfied with an explanation that the trace of metabolite was pre-existing from his 29 July 2017 positive sample – that resulted in a 15-month ban – the entire event was moved at six days’ notice to The Forum in Inglewood, Los Angeles. Jones has spoken defiantly since the controversy arose, much to the anger of his opponent this Saturday night in Alexander Gustaffson, but the situation was elevated further when Jones suddenly gave an angry response to Swedish journalist Izabelle Kostic. Kostic, undeterred yet shocked by Jones’ nonchalant response, turned to UFC president Dana White to ask why Jones was still allowed to fight when in a similar incident Frank Mir was handed a two-year ban in 2017, and when an apparently confused White responded by claiming he doesn’t understand the question, Jones immediately picked the microphone back up and went into a tirade against her. White proceeded to interrupt Jones, possibly in the knowledge of the backlash that Jones’s unacceptable response would trigger, but the damage had already been done to a reputation that is already in tatters after three failed drugs tests in the past and now a drugs test “abnormality”. Kostic’s questions drew boos from Jones’s fans in the crown, but a number of MMA journalists heavily condemned the MMA fighter for his attitude in the press conference towards Kostic. ESPN’s Chamatkar Sandhu added: “I couldn’t watch today’s UFC 232 presser live so just caught up with everything. Have to say, I was really disappointed to see how Izabelle Kostic from @kimurasweden was treated when asking her questions, which were more than fair. I just spoke to her and she’s in good spirits. Fans also praised Kostic for asking the questions that “needed to be asked”, even if it risked falling fowl of the UFC’s dictator-like grip on media accreditation access to their events. Jones went on to claim that the case “shouldn’t have even been brought up”, and added that it was he who had been “wronged” throughout the week, not the fans or other UFC fighters who have been forced to change plans at the last minute to their own personal cost because of his test. “Even though a lot of fans got hurt in this situation, we saved the event,” Jones said. “Look at all the people that got to be here, all the people that are planning on ordering the fight around the world. The organisation is doing everything they can to make it right. Changing the event instead of cancelling the event is the way of making this right. Gustafsson was in no mood to listen to Jones’ extraordinary claims. “Whatever this guy is saying, it’s just (nonsense),” the Swede said. “He’s just terrible. This guy is terrible. I’m here to fight. I’m flexible. It’s all good, but we have friends, family coming into town, having plans. They have their budgets. They have to reschedule, re-plan everything, whatever. The other 25 fighters on the UFC 232 card now face financial losses due to the venue switch – not only due to hotel and travel arrangements – but also due to California’s state income tax and additional fees. The UFC assisted with travel arrangements, but White confirmed that there will not be any compensation for the loss of earnings.